With a totally stripped-down décor, Marc Jacobs focused everyone’s full attention on a Fall-Winter 2017 collection marked by simplicity in a tribute to New York in the Seventies and the origins of hip-hop. For his Fall-Winter 2017 show closing out New York Fashion Week, Marc Jacobs put the emphasis on simplicity. The setting was the cavernous Armory building with just two rows of chairs facing one another for décor, creating a runway between them down which models walked just once. Also absent were any stage lighting or music. This deliberate simplicity centered the experience on the silhouettes created for the season by the New York designer, who walked out at the end of the show in front of a huge wall of speakers. For Fall 2017 Marc Jacobs drew inspiration from New York in the Seventies to pay tribute to the origins of hip-hop. 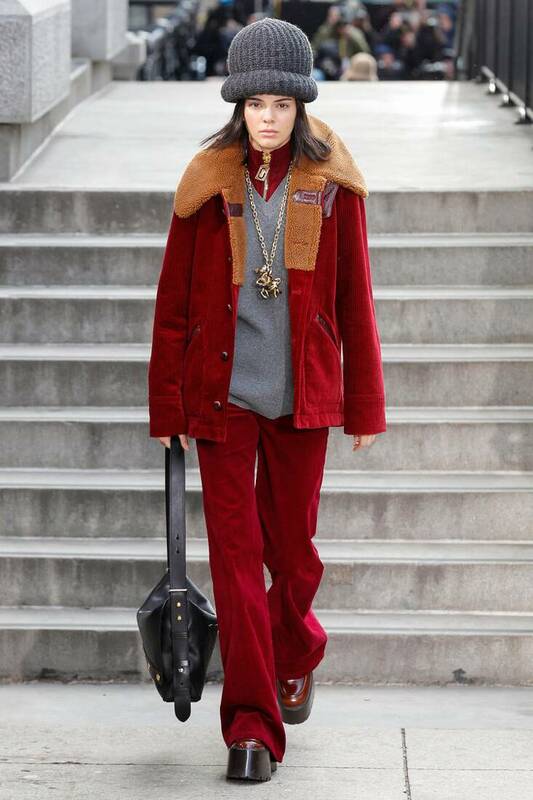 Dominated by a neutral palette ranging from beige and red to brown, the looks were designed for everyday dressing: a coat over a dress, a sweater with pants or the casual polish of a track suit. Accessories accentuated the casual personality of the collection, including practical handbags with graphic stitch details, pendants swinging from heavy gold chains or pumped up hats.